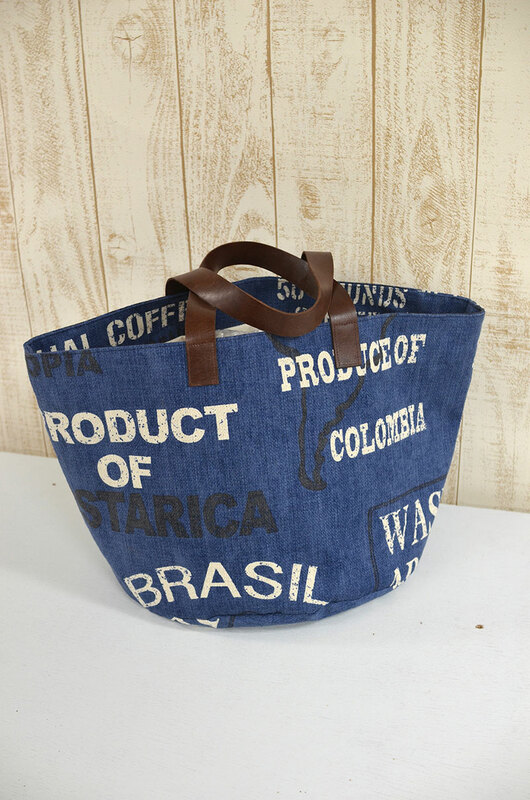 The jute coffee sacks coming from around the world are adorned with local logos and brand names, making them somewhat of a collectible. 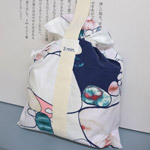 Gaining popularity among hand craft lovers, the sacks are now turned into stylish bags and throw pillows. With that coffee sack in mind, the coffee bag fabric was designed. 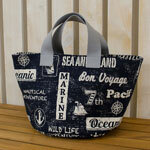 A rough cotton linen basket weave textile is perfect for a casually used everyday bag. 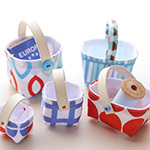 A bucket shaped marché bag offers an ample room to carry many things, making it suitable as a shopping companion. 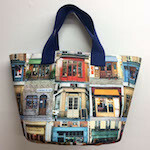 The bag’s handle could be a leather tape like in this sample or a matching fabric handle will also look good.